Would you like to join the Trendsignal team? Trendsignal is a fun and dynamic place to work. We are passionate about over-delivering in a number of ways, not just in the service we provide to our clients but also in the rewards and benefits for our staff. 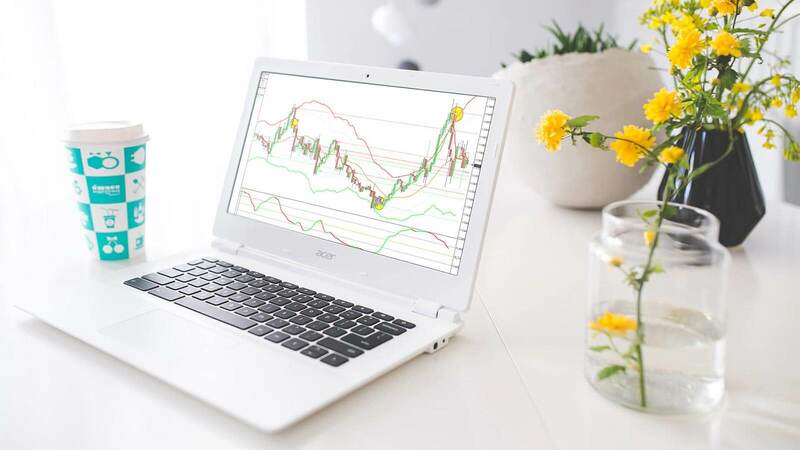 In working for Trendsignal, you will be given the opportunity and training to succeed. So if you are looking to challenge yourself, build on your career and be a key part of growing this ambitious company, then you should apply to join us. Don’t miss this exciting opportunity to join a young and thriving training company and be part of its rapid expansion! We are a training and education company teaching people how to trade the FX and Stock markets. Job role: To identify, qualify and secure quality leads from our database (not cold calling). You will be working as part of a growing sales team dealing with potential clients, introducing them to our products. The successful candidate will be responsible for establishing interest from our extensive databases and asking prospects to watch an online product demonstration. The more that watch the live demonstrations, the more you get paid! It’s that simple. If you are a hungry, motivated, enthusiastic and can thrive under pressure, then this is a great opportunity for you. Trendsignal Limited continues to expand its business and customer base, both in the UK and overseas, and is now recruiting for a new Trading Coach in our Orlando, FL office. Would you like the challenge? Our existing coaching team all started their relationship with us as customers, enrolling on the Trendsignal Plus course up to 13 years ago. Would you like to join our team and start helping others how to trade successfully? We need 2 things… a coach and a live trading room presenter. The “Active Trader” course available in the USA will include 4 hours of 1 to 1 coaching and also include 7 hours of live group training and trading sessions per week. We are now recruiting for someone to deliver this training to our new clients - to provide the same level of teaching and support to each new client to ensure the strategies are used effectively. The successful candidate will also have the opportunity to be involved in strategy and training development. To be able to deliver a clear message, articulately. You must be organised and extremely reliable, with time and flexibility to juggle new clients and cater for their needs. Patience! Some of our clients are slow learners, so you must be firm, fair and patient. A synopsis of your attributes and why you believe you would make a success of coaching. A rough guide of how much time you have available per month to devote to coaching our clients. If you want a challenge, a new income stream and to talk to like-minded people on a daily basis, then please get in touch soonest. We are a UK based Trading Education company establishing a new company and office in Orlando. As a successful award winning company with a 14 year track record of training people how to trade successfully, we have all the ingredients in place to deliver a fantastic product in the US apart from a sales team! We are looking for an Inside Sales Representative to join our fast-pace and growing company. This position is for a mature and driven, motivated executive looking for a long-term career opportunity. Are you an Experienced Closer / Sales Executive in the Trading sector wanting more opportunity and more responsibility? Would you like to be in at the start of our rapid expansion? Do you have ambitions of managing a team and having a direct impact on the company’s success? You will lead our B2C Inside Sales department, procuring new clients for our trading courses. You will be responsible for nurturing and closing qualified leads from our already extensive US/Canada database. You will be working to targets and be paid generous commissions on top of your basic salary for hitting your numbers. Call qualified leads from our “opt-in” database and nurture the sales process to generate and close sales and meet or exceed targets. Work with the Coaches / Fulfilment teams to ensure smooth delivery of the product. As first contact, provide support to existing clients, alongside US based coaches and trainers. Liaise with marketing team on lead quality and performance. Deliver live product demonstration webinars to showcase our simple to use strategies. Work inline with the Company’s Vision and Mission statements, along with our Culture and Core Values. In order to apply for a vacancy, please contact office manager - Jennifer Busby (Jennifer.busby@trend-signal.com) together with your CV (resume) and a description of why you are suitable for the role.